SAN ANTONIO - A man being escorted out of a Stone Oak bar early Sunday morning stabbed a security guard and one other person, police said. 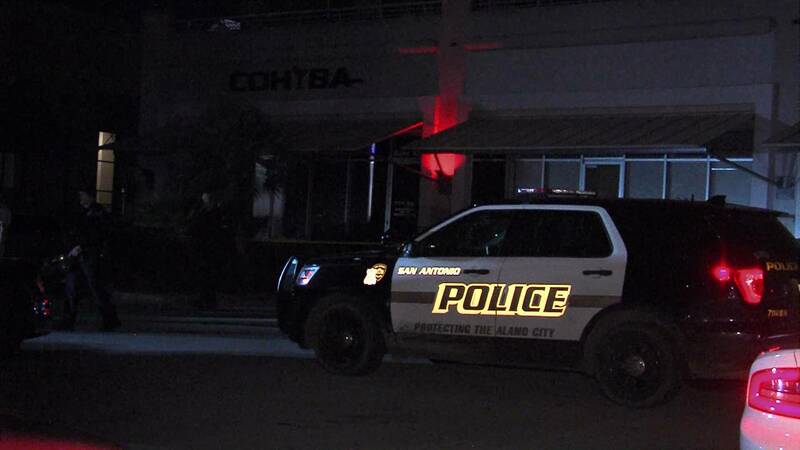 Police said a man and his girlfriend had been fighting at Cohiba Lounge in a Stone Oak shopping center in the 18700 block of Stone Oak Parkway. The couple were asked to leave, but the boyfriend began to argue, according to authorities. Security guards began escorting the couple out of the lounge when the boyfriend pulled out a knife and stabbed a guard and another person next to the security guard, police said. One victim appeared to have superficial wounds and refused to be taken to the hospital. Another had a stab wound to the chest. The suspect took off before authorities arrived and remains at large.